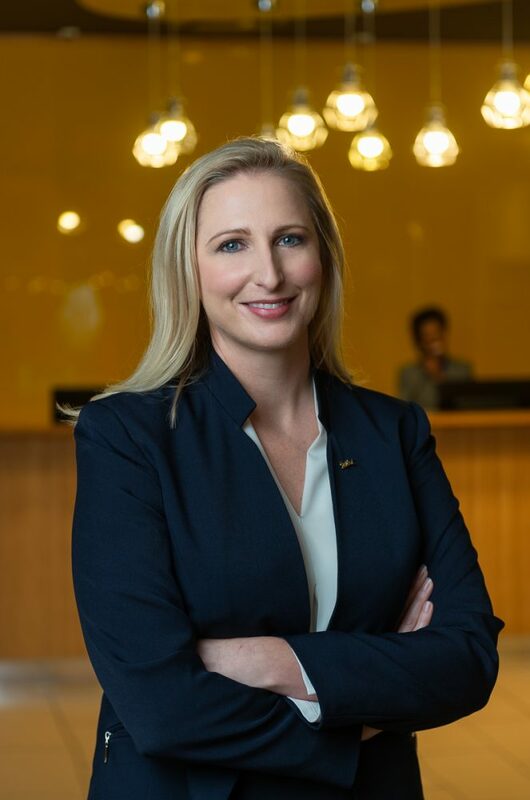 Carly de Jong is the General Manager (GM) of Park Inn by Radisson Cape Town Newlands, a position she was appointed to in August 2018. Having cut her teeth on global hotel brands, Carly remains one of the only female Radisson Hotel General Managers in South Africa. As one of eight brands within Radisson Hotel Group, the hallmarks of Park Inn by Radisson include colour, comfort and fun, as evidenced by the Newlands hotel’s vibrant décor, lobby bar and activity facilities. Park Inn by Radisson Cape Town Newlands is also a staunch advocate of the Deaf and hard-of-hearing; currently the Deaf Federation of South Africa (Deaf SA) owns 51% of Park Inn by Radisson Cape Town Newlands, which in turn offers support and career prospects to the Deaf and employs a Deaf staff compliment of 19%. Carly leads with humility, and is rigorous in her mentorship of both Deaf and hearing staff. “Both hearing staff and guests have benefited from our Deaf crew members who patiently teach sign language to anyone who wants to learn,” she comments. After studying PR and business communication at Damelin College, Carly moved to London where she worked at the front desk of a corporate hotel in 1999. A series of promotions followed until Carly finally chose to return to South Africa, where she joined the Best Western in Zonnebloem, Cape Town. Her first job with the Radisson Hotel Group was as Service Manager at the Radisson Blu Hotel Waterfront, the Group’s flagship hotel in Africa, in 2003; thereafter she joined The Bay Hotel (Camps Bay) as an Assistant Front Office Manager, followed by eight years at the Southern Sun Cape Sun where she advanced from Front Office Manager to Rooms Division Manager. Carly takes great pride in seeing women she employed climb the ranks in the hotel industry. As the GM of Park Inn by Radisson Cape Town Newlands, her goal is to help other hotel employees achieve their career goals as she continues to grow in her position.